An apparent act of terrorism hit the Melbourne CBD again on Friday. Hatch reporters Lachlan Guertin, Sophie Chappell and Luke Hancock report from the scene. A terrorism suspect and one of his victims is dead and two other victims injured with stab wounds after the Melbourne CBD was shut down in what police said was a terrorist attack in Bourke Street on Friday afternoon. 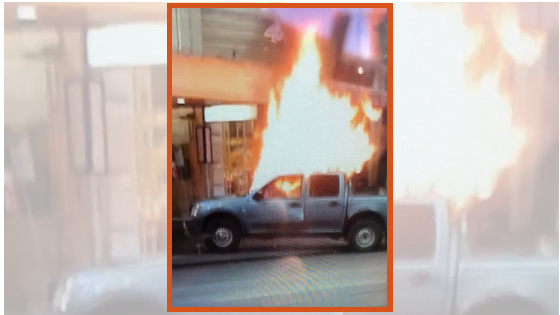 A ute exploded in flames on the pedestrian mall about 4.20pm, police said. Witness accounts and video show a man fighting police officers with a knife before being shot. At an 8.30pm press conference, police said they were treating the incident as “a terrorism event”. Hatch reporter Lachlan Guertin was on the scene minutes after the incident. A witness said “there was a fire and a bang” and it was unclear whether the bang was from a gunshot or if the car had exploded.